Our hosts are here to ensure your stay is as comfortable and hassle free as possible. 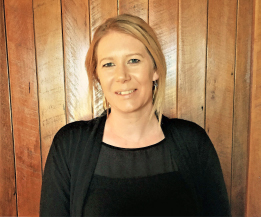 I am Natalie Roberts and I have lived in Curio Bay for the past 5 years with my husband Brad (who you may see helping out occasionally) and my baby son Luke. 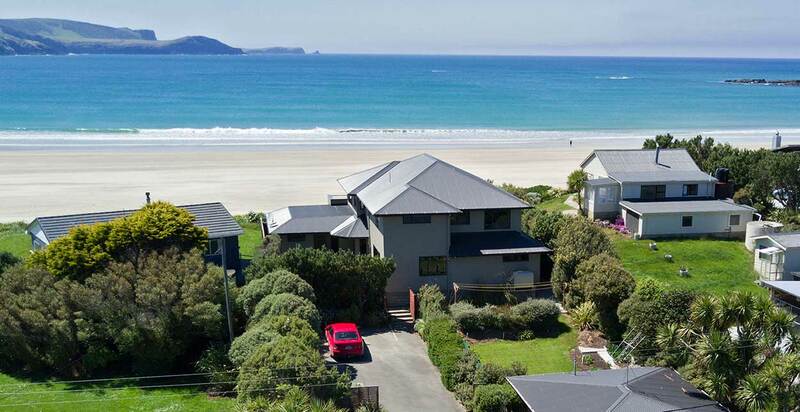 We share a passion for the wildlife and enjoy spending our spare time at the beach, surfing, or walking the beautiful tracks the Catlins have to offer. We enjoy the peaceful nature and ruggedness of the Catlins and we look forward to sharing this with you. A special place that gives you time to relax and unwind. 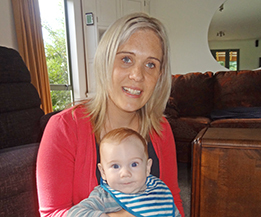 I am Melissa Cracknell and I have grown up and lived in the Southland area all my life with the last 12 years here in the Catlins, Curio Bay with husband Damon (who you might see helping out occasionally) and son Oscar, aged six. We share a passion for wildlife and enjoy spending our spare time at the beach, or walking the beautiful tracks the Catlins have to offer. We have both worked in the tourism industry for the 12 years we have been here, with Damon now working on a beef and sheep farm and we look forward to meeting and sharing stories with our guests. 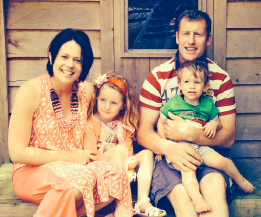 We are Jim and Jacinta Stevenson and, together with our two children Tessa and Max, we farm sheep and beef near Middlemarch, Otago. Our passion is for farming, our dogs and our stock. We are very proud to own a piece of paradise at Curio Bay with our family and are excited to be able to share this with you. The beautiful coastline is a wonderful contrast to our farm life. We love Curio Bay, the wildlife it offers and think our beachfront view is hard to beat. 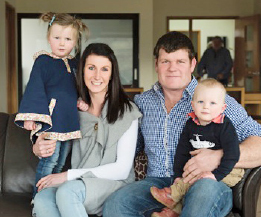 We are Brendan and Abby Duffy, and together with our children Macy and Jack, live on Brendan’s family farm near Edendale in Southland. Brendan runs the dairy farm in partnership with his parents, Paul and Alison, and Abby teaches primary school part-time. 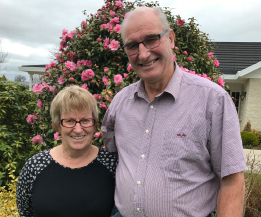 Brendan is a born and bred Southlander and Abby is from North Queensland and after about 13 years of living in Southland is starting to become accustomed to the winters! Macy and Jack love helping out on the farm and enjoy all that the freedom of farm life has to offer kids. We just love our time at Curio Bay. Be it swimming on a summer’s day or all rugged up for a walk along the beach in winter, Curio Bay never fails to delight and relax us. We hope you enjoy it as much as we do. Paul and Alison married in 1973 and developed the family dairy farm at Seaward Downs where they lived until 2011. They have a family of 6 children and 9 grandchildren. Paul has represented this area as a Southland District Councillor since 2001. He is also Chairman of the local South Catlins Charitable Trust that has been working for over fifteen years to improve facilities for visitors to Curio Bay while enhancing protection of the penguins, dolphins and petrified forest. Paul and Alison feel a strong connection to this area.